Undertaken by Bristol in response to Royal Navy and Canadian naval specifications were the models 191 and 193. The Bristol 191 was a ship-based development of Type 173 with modified fuselage, u/c etc. The Bristol 192 was the production version of Model 191 for RAF use with two cabin windows only, starboard cargo hatch, cargo hoist beneath fuselage, large anhedralled tailplane and powered by two 1465shp Napier Gazelle 2 turboshafts, derated to 920shp. In the initial configuration, the 192 had a purely manual system of control and wooden rotor blades but power controls and metal blades were standardized on the fifth prototype built in 1960. 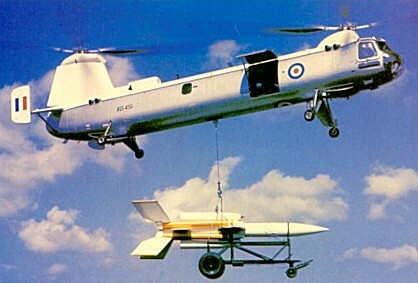 The prototype Type 192 (XG447) first flying on 5 July 1958 at Westonsuper-Mare, was demonstrated at the Farnborough air show in September 1952. That year, three pre-production aircraft were assigned to the RAF for a series of trials for which they were based at Odiham. As the Westland Belvedere this entered service with the Royal Air Force, though this was only after the 191 and 193 had been cancelled by the RAF and Royal Canadian Air Force respectively. 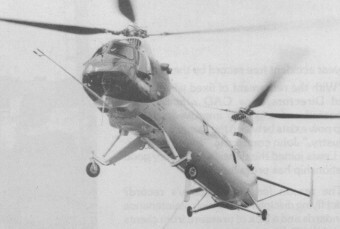 Twenty-six of these helicopters were ordered and used for some years for military transport, not only in the United Kingdom, but also in the Middle and Far East. The Belvedere was withdrawn from service in March 1969. The production Bristol 192s had an all-metal, skinned fuselage and an anhedral tailplane, compared with the dihedral one of the Type 173. The two rotors had four metal blades and the front wheels of the fixed quadricycle landing gear were self-castoring. 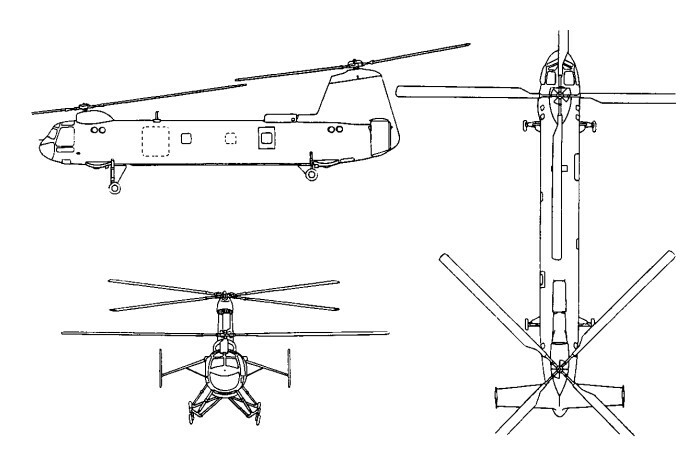 The helicopter's maximum capacity was 30 seats or 2700kg internal payload. The instrumentation also permitted night flying. As the 192C it was tested by BEA and offered its 24 passengers a unique high-speed service between London and Paris. British European Airways leased a Belvedere briefly but never used it in commercial service. On May 30, 1961, C T D Hosegood flew from London to Paris in 1 hour 41 min 28 sec and on June 2, 1961, from Paris to London in 1 hour 40 mm 55 sec. This is the equivalent of 202.32km/h outwards and 203.51 km/h on the return flight.